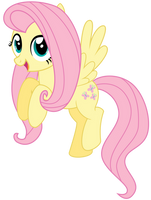 When trying to make a quick stupid parody of "Sharknado Fluttershy" this morning, I found we lacked (apparently) a good vector of Fluttershy, in goggles, flying with confidence from "Hurricane Fluttershy". Back legs and hair/tail strands extrapolated from other scenes, but this is right where she's passing RBD in the torando. My Little Pony Friendship Is Magic by , Copyright Hasbro. May i make a wallpaper for this? 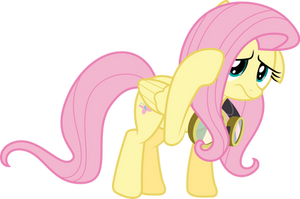 One of my favorites too, not just because it's Fluttershy heavy, but we get really good RBD character development too.